For some time now i have seen images produced from a ranch down in Texas. Now i get to find out how this images are acquired. A while back as the summer was getting planned out, Dad invited me to come to Texas with him to photograph these marvelous birds. Yesterday was the first day of shooting out of the blinds, with a morning blind and an afternoon blind. These birds were out of the afternoon shoot. The morning shoot was good, mostly shooting the Crested Caracara’s but i didn’t have anything that i really wanted to blog. This afternoon blinded produced so many good birds that i have never photographed before. From thrashers to jays to cardinals we had so much to work with. Of course nothing stayed for to long they kept coming and going but we had our options. The Curve-billed and Long-billed Thrasher were too of the most interesting, Long-billed being up above. 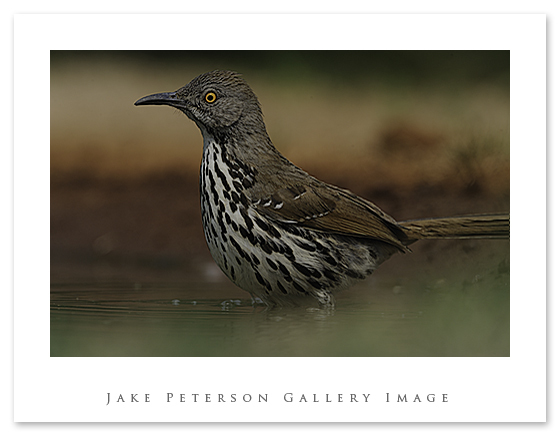 The Curve kept feeding a juvenile thrasher that was there and the Long-billed took a bath in the pond. They were a lot of fun to work with except for when the male thrasher would chase away the Green Jays. 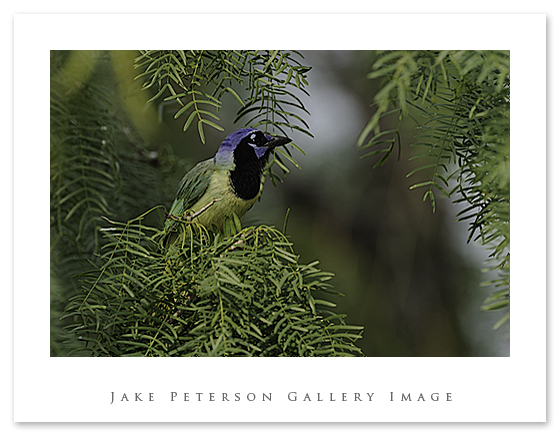 The Green Jays are so cool, if you didn’t know what the bird was, by its color alone it would never be considered a jay. If the Jays weren’t enough fun this little guy was. 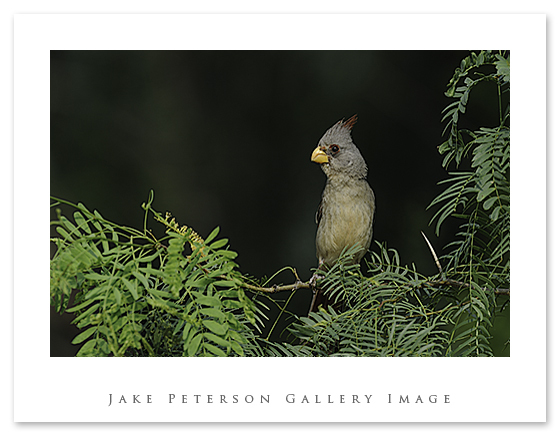 A male and female Pyrrhuloxia came by. They didn’t stay long but i was able to get a couple shots off of the female. May not be as colorful as the Green Jays but i liked the shot so i thought i’d blog it. It was a great afternoon and i can’t wait for the next blind.